Here’s a scrapbook video to show you the exact steps on how to use the Crop A Dile in setting scrapbook eyelets. You’ll see how easy it is and best of all, Crop-A-Dile doesn’t involve the noisy hammering and running into unsightly setting anymore. 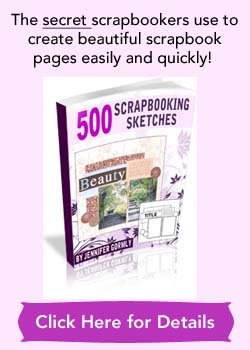 A bit of information about this fascinating scrapbook tool. Crop-A-Dile let you set eyelets, snaps and metal embellishments in a snap! It can punch through material thick or thin, such as paper, acrylic, chipboard, plastic, wood, leather, fabric and much more. I don’t own a Crop A Dile, but I’ve heard it mentioned every now and then and it seems to be a tool that scrapbookers are raving about. 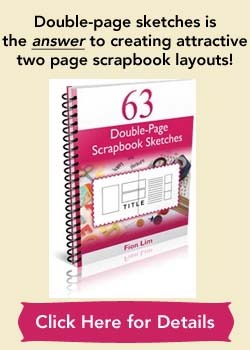 So if you love setting eyelets on your pages, this might be a great addition to your scrapbook tools.